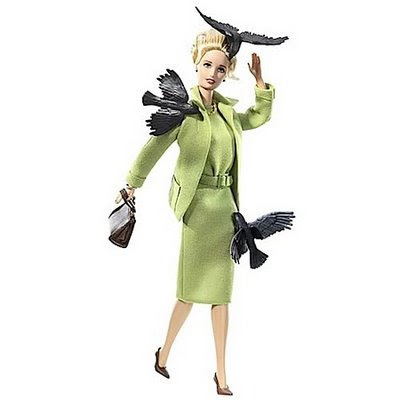 Mattel produced this The Birds Barbie doll based on the Alfred Hitchcock classic movie, The Birds. 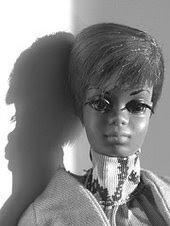 I really want to buy this doll for a couple of reasons: first of all, I’m a big Hitchcock fan and secondly, I really like the outfit worn by Tippi Hedren’s character, Melanie Daniels. 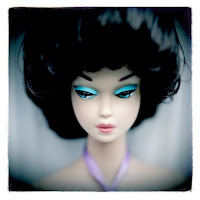 I’m trying to not to spend frivolously but if those birds can be removed from the doll's outfit, I might give it a try. 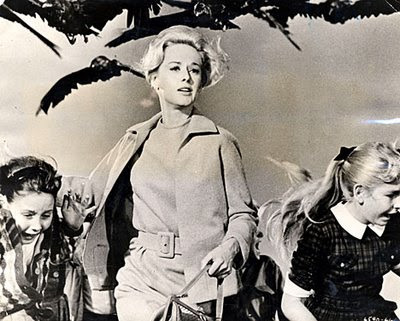 Here is a photo of the famous scene of Hedren and the children running from the school. This movie was Tippi Hedren’s break out role. She owes her movie career to Hitchcock who spotted her in a commercial and cast her in the starring role. She’s also the mother of actress Melanie Griffith; could she have been named her after her mom's character in this movie or is that just a coincidence? Anyhoo, back in the day when there was only had one television in our household, my mom sort of got me hooked on Alfred Hitchcock. She still loves suspense movies today. The Birds, Dial M for Murder and Rear Window are just a few of my favorite movies that he directed. 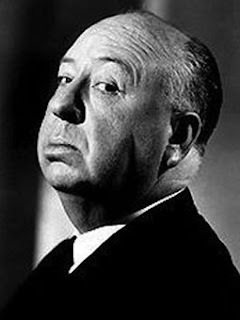 Of course, watching “The Alfred Hitchcock Hour” was, and still is, a regular occurrence as it is in re-runs on the Chiller TV channel. 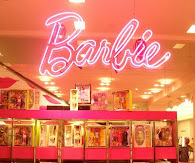 I thought this was pretty gruesome for Barbie which is why it's so cool! Did you end up buying her? Can the birds be removed?